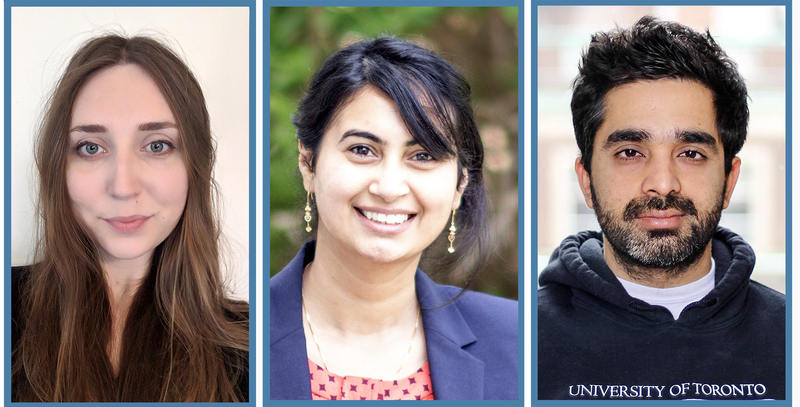 Kaitlin Laverty, Mandeep Gill and Shrey Sindhwani are this year’s winners of the Jennifer Dorrington Graduate Research Award. Their doctoral research has the potential to transform our current understanding of molecular biology and cancer. “This year’s Dorrington winners have already made important discoveries in their respective fields which have opened new areas of research,” says Professor Gary Bader, Chair of the Dorrington Award Committee that included Professors Liliana Attisano, Henry Krause and Cindi Morshead as members. All are Principal Investigators in the Donnelly Centre. “They represent the future of science and are highly deserving of the Jennifer Dorrington Award,” says Bader. 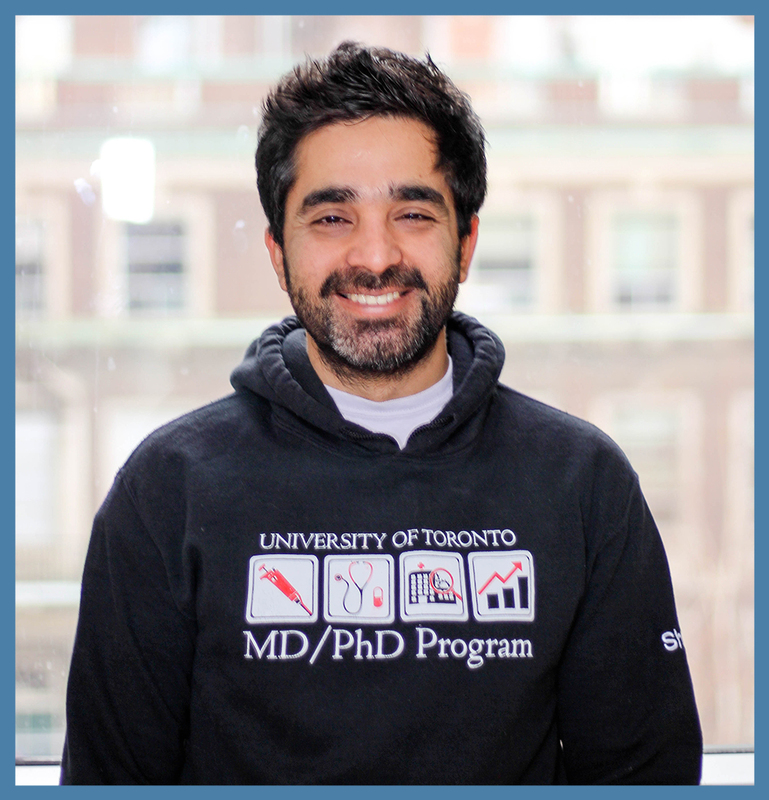 Established in 2007, the annual Dorrington Award recognizes outstanding graduate students in the University of Toronto’s Faculty of Medicine who are doing research in Donnelly Centre labs. The award was founded by the Dorrington family as a tribute to Jennifer Dorrington, who was a professor in U of T’s Banting and Best Department of Medical Research where she carried out pioneering work on ovarian physiology. Kaitlin Laverty The youngest of the winners, Laverty is in her third year of graduate studies in U of T’s Department of Molecular Genetics and is doing research in computational biology in the lab of Professor Tim Hughes. She is also co-supervised by Quaid Morris, a professor of computer science in the Donnelly Centre and an investigator in the Vector Institute for Artificial Intelligence. “Receiving the Dorrington award is recognition that I’m on the right track in my graduate career and motivation to continue on this path,” says Laverty. In her research, Laverty seeks to broaden our understanding of how RNA molecules work. These are short copies of the DNA scripts that serve as templates for building proteins and play other vital roles in the cell. RNAs are regulated by a class of proteins called RNA-binding proteins, or RBPs, and Laverty is working to find out how RBPs recognize the correct RNA molecules to bind. It is thought that the RBPs recognize specific parts of the copied genetic code within an RNA molecule as well as parts of its three-dimensional structure. She is developing machine-learning tools, a form of artificial intelligence in which computers learn to recognize recurrent patterns in the data, to predict from the sequence of an RNA molecule its shape and what proteins it will bind. It’s a challenging task—humans have 1500 different RBPs but scientists know for only 200 of them which RNAs they bind. “I am trying to not only identify the sequence the proteins are binding to but also what structure they are binding. On top of that we have to consider the fact that the RBPs can bind to two or more parts of the RNA molecule at variable spacing from one another, which makes the problem even more difficult,” says Laverty. Many RBPs have been linked to neurodegenerative diseases, including Alzheimer’s. Knowing how RBPs work will lead to a better understanding of how disease occurs and could also offer clues for developing new therapies. As a side project, Laverty recently completed a computational assembly of the cannabis genome, which details the arrangement of the biosynthetic genes on the chromosomes. The long-awaited chromosome map came on the heels of cannabis legalization in Canada and will help further research into the plant’s medical potential. Laverty’s findings attracted media attention and were covered by Toronto Star, Vice |Motherboard and other outlets. 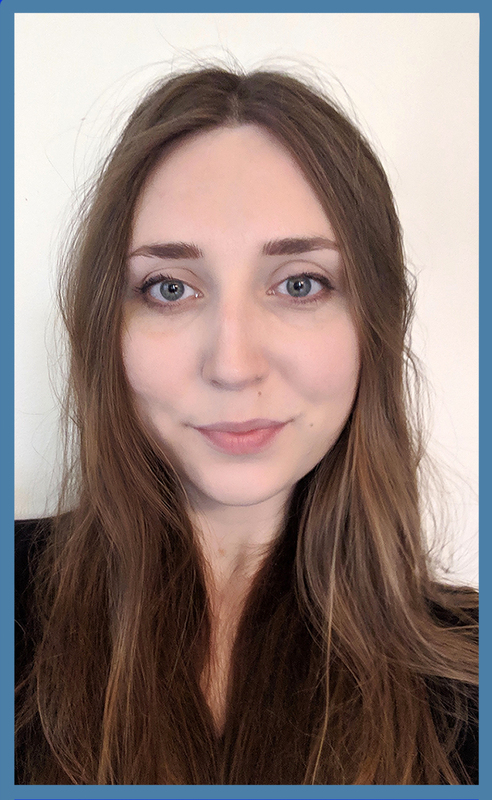 Laverty previously won the Cecil Yip Doctoral Research Award, which recognizes excellence in first year students pursuing cross-disciplinary research in the Donnelly Centre. Dorrington winner Mandeep Gill is in the sixth and final year of PhD which she is conducting in Professor Attisano’s lab. A student in U of T’s Department of Biochemistry, Gill is investigating how mistakes in the so-called Hippo pathway, which regulates cell growth, can lead to cancer. Mandeep Gill “I am very honoured to receive the Dorrington award because it will help me achieve my goal which is to make a significant contribution in cancer research to improve patients’ lives,” says Gill. The Hippo pathway normally halts cell proliferation but these checks and balances are often switched off in cancer in ways that are not well understood. Gill discovered a protein called NUAK2 which is highly expressed in aggressive high grade bladder tumours where it inhibits the Hippo pathway, publishing her findings in the journal Nature Communications. Moreover, Gill and group showed that by blocking NUAK2, either by treating with drugs or by mutating the gene, reduces the growth of cancer cells and breast tumours in mice. The lab is currently working to develop anti-NUAK2 compounds that could be used on patients. Learn more about Gill’s research on the role of NUAK2 in bladder cancer. Gill first decided to dedicate her career to cancer research while working at the Lombardi Cancer Centre in Washington D.C. as a research assistant before starting graduate school. Researching breast tumour samples taken from patient biopsies helped her realize how different the disease can be from one person to another and that a more personalized approach to treatment is required. Ever since, helping patients has been at the forefront of her mind and Gill plans to continue her research of cancer as a postdoctoral researcher after graduating. Shrey Sindhwani (Photo by Bill Dai). Shrey Sindhwani is also tackling cancer but he’s taking a different approach to Gill. A graduate student in the U of T’s Institute of Biomaterials and Biomedical Engineering, in Professor Warren Chan’s group, Sindhwani is developing nanotechnology for targeting tumours more precisely with drugs. Now in his seventh year of the MD/PhD program, Sindhwani is training to become a physician-scientist with a focus on improving cancer care. 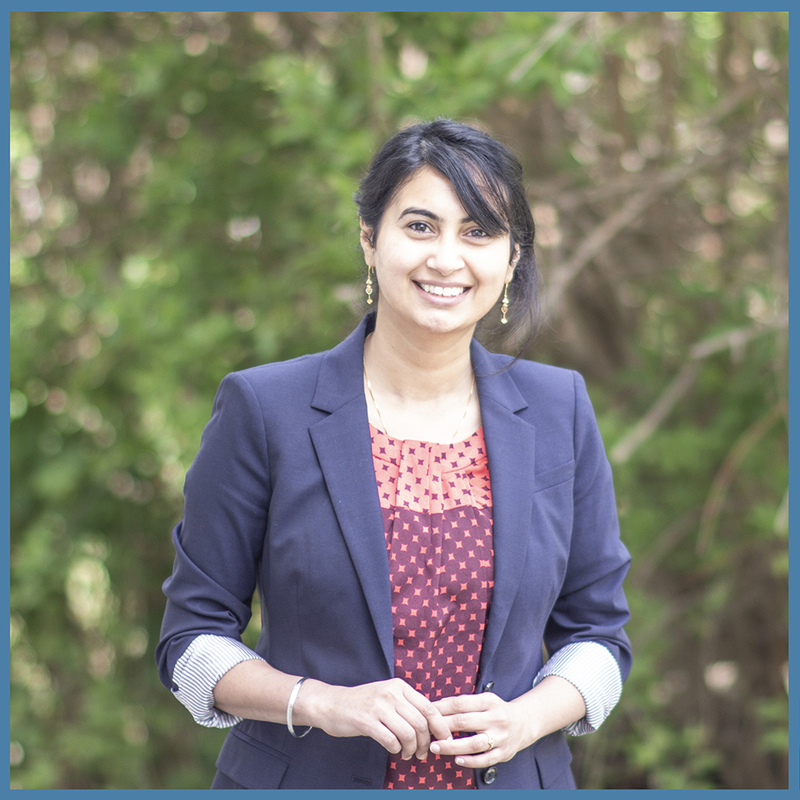 Learn more about Sindwhani from this Q&A. “For cancer, one of the big challenges is that the kinds of drugs we use are very toxic and have their own side effects,” he says of standard chemotherapy which indiscriminately destroys all proliferating cells including healthy cells behind tissue turnover. A potential solution to targeting cancer more precisely lies in nanoparticles which could be engineered to deliver medicines directly into the tumour. Although promising, nanoparticles come with a serious drawback—only one in 100 reach the tumour site after being injected into the bloodstream, as Chan’s lab found a few years ago. The focus of Sindhwani’s research has been to reveal and overcome the obstacles preventing the particles from reaching tumours. One hurdle comes from proteins in the blood that wrap around the nanoparticle in a way that changes its final destination. By identifying these proteins and how they interact with the particles, Sindhwani is developing computational models that predict where the nanoparticles will end up to improve drug delivery. To understand what happens to the particles once they reach the tumour, he is also developing a technology that makes tumours transparent to light so that he can see get a complete view of drug distribution at the site of action. Learn more about the research that allowed Sindwhani to see tumours whole inside the body and uncover biological barriers to nanoparticle delivery. “Tumours seem to have a very disorganized architecture with a lot of variation in space and time, so if you want to capture all the information about its biology and how drugs and nanoparticles work inside the tumour, you need to see it as a whole,” he says, adding that the technique allows them to create a tumour map including blood vessels and other cell types around it. The result is a three-dimensional tissue map revealing the challenges the nanoparticles need to overcome to reach the tumour. “Going forward, I want to come up with ways to knock down these challenges so that more nanoparticles can reach the cancer cells and deliver more drug to it,” he says. After finishing his PhD, Sindhwani will go back to medical school to complete his training as a physician-scientist, a position that will allow him to both see patients and pursue research. In this way, he’ll be able to test observations from the clinic in the lab to get a better sense of disease and patients’ needs. Over the past 11 years, the Jennifer Dorrington Award has provided more than $40,000 in financial support for 28 scientists, many of whom went to do postdoctoral training in leading research institutions in the world. Last summer, the Dorrington family members visited the Donnelly Centre for the first time where they met last year’s Dorrington award winners who showcased their research. Learn more about the Dorrington family visit to the Donnelly Centre.